A deal with activist investors has foundered over extra legal cover for board members who were set to leave, including ex-Citi boss Chuck Prince. Now that they and discredited CEO Jeff Jacobson will stay, Xerox and its investors are in limbo. It’s a result best not copied. 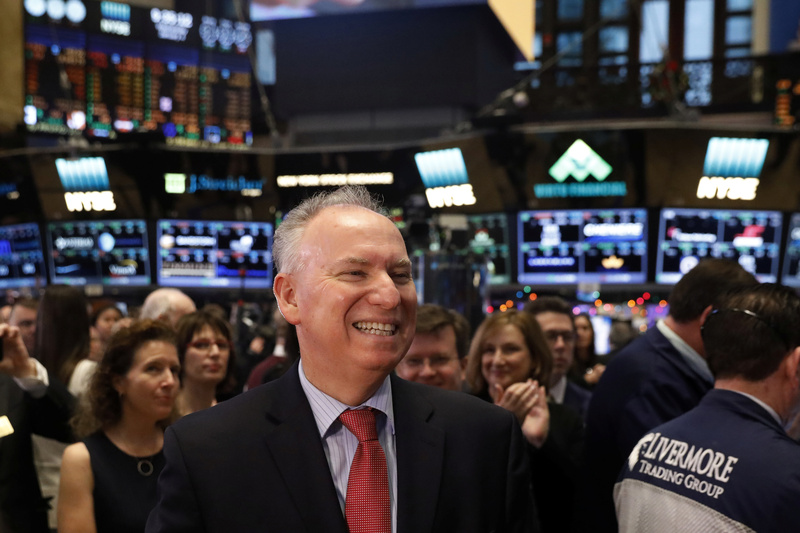 Xerox chief executive officer, Jeff Jacobson (L), smiles as he stands on the floor of the New York Stock Exchange (NYSE) in New York, U.S., January 4, 2017. Xerox said on May 3 that the settlement agreement it had reached with activist investors Carl Icahn and Darwin Deason on May 1 had expired. As a result, the current board and management will remain in place. The agreement, which would have replaced the chief executive and most of the board, expired in the absence of stipulations from the New York judge overseeing the litigation between the parties that would have discontinued litigation against Xerox directors. The judge on April 27 temporarily blocked Fujifilm’s $6.1 billion merger with Xerox.